Windsor is staging its 12th Doors Open this year, featuring over 30 sites – many of which are new. From touring a well-known boxing club to a naval reserve and everything in between, visitors will see and experience some of the most interesting spaces and places in our city. St. Clair College students of the Architectural Technology program will provide guided tours of architecturally significant neighbourhoods. And the history of Ford City will be featured in a talk during the event. 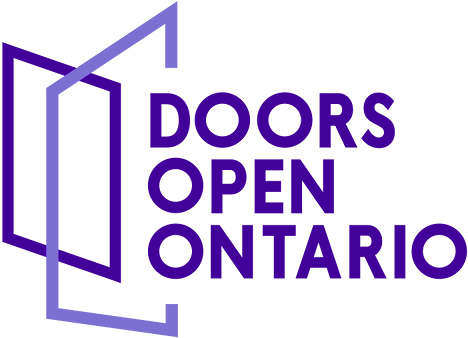 For more information, visit www.doorsopenwindsor.com. There’s something for everyone at Doors Open Windsor. Windsor is the southernmost city in Canada, located across the Detroit River from Detroit, Michigan. With a population of just over 215,000, it's the fourth most multicultural city in the country. The many ethnic restaurants and neighbourhoods reflect its diversity. Once known as the “Automotive Capital of Canada,” manufacturing shaped Windsor’s early development. With the decline in the auto industry following the 2008 recession, revitalization has given birth to a blossoming arts and music scene. The art gallery, museums, the symphony orchestra, the film festival and theatre companies are all gaining in popularity. Parks and sprawling gardens dot the city and grace the riverfront, providing relaxing getaways from the hurried pace of urban life. Come to Windsor and stay for a while. Like most United churches, Bedford United was built as a Methodist church. Construction began in 1906; the building boasts five cornerstones. The sanctuary, with curved wooden pews, featured the latest in gas lighting (since replaced). The double-swinging doors at the back were covered in leather, and 18 stained-glass windows were installed in the tower. The site was designated in 2007. The Canadian Historical Aircraft Association is housed in the last remaining hanger of the #7 Elementary Flying Training School, which was used during the Second World War and is located at Windsor International Airport. The association's mission is to preserve and restore vintage military and civilian aircraft that are important to Canadian aviation history. Windsor's first television station began here in 1954. Located on the original site of the Canadian Salt Mine, this building is listed on the city's heritage register. Originally, the station shared its home with CKLW AM Radio – one of North America's most influential frequencies – which started broadcasting in Windsor in the 1930s. Today, it is the home of CBC-Radio Canada. The Chimczuk Museum, located on the ground floor of the Art Gallery of Windsor, is a premier museum destination that houses permanent exhibits on the history of the Windsor area, the culture and legacy of its Aboriginal people, and the development of the City of Windsor. The François Baby House, also part of Doors Open Windsor, is a block away. Saturday: 10 a.m. to 5 p.m.; Sunday: 11 a.m. to 5 p.m. The congregation of the Church of the Ascension is celebrating its 125th anniversary this year. After the two original buildings were replaced, the current church was rebuilt in 1927. After a 1990 fire, the stained-glass windows were restored with the original glass and new lead. A cross made from timbers from the church roof is in the memorial garden. Follow us on a walking tour as we discuss the houses of interest in this historical neighbourhood. Discover the unique architectural features of buildings as we explore a range of elements – including decorative brick work, roof types, and window and door configurations that contribute to the textural structures. Tours will leave from the corner of Devonshire Road and Assumption Street. In the early 1970s, members of the Central United Church founded The Downtown Mission. In various locations until 2001, it is now located in the former Temple Baptist Church. Meals are offered daily. In 2016, the mission added a Wellness Centre at 875 Ouellette Avenue, with outreach services and Do Good Deli, a small restaurant that offers work training. Duff-Baby House, one of Windsor’s oldest buildings, was built in 1798 for Alexander Duff, a Scottish fur merchant. The identity of the architect is unknown, but this Georgian design style was brought to Upper Canada by United Empire Loyalists in the late 18th century. The house was restored in the 1990s and is owned by the Ontario Heritage Trust. The Film Camp for Kids & Youth started as a research project in 2012 and quickly developed into a year-round program. The camp has a 557-square-metre (6,000-square-foot) studio and the latest in filmmaking technology. Kids learn animation, cinematography, directing and editing. During Doors Open, visitors will see students in action as they make a film. Join us on a leisurely walk through the neighbourhood to discover numerous buildings of interest in historical Ford City. Along the way, we will discuss how immigration affected the design of buildings – in particular, the churches that served families from Russia, Romania, Serbia and other Eastern Orthodox denominations. Tours will depart from the corner of Drouillard Road and Richmond Street. American forces commandeered this building in July 1812 after hostilities broke out with the United States. The house, which served as American headquarters and subsequently the British artillery base during the War of 1812, is also where the final engagement of the Upper Canada Rebellion took place in 1838. Artifact storage area tours at 11:30 a.m., 1:30 and 3:30 p.m.
Members of the Hindu faith community funded the construction of this temple. It is made of red brick with a red block foundation and incorporates arched windows and doorways. At the front of the 1,300-square-metre (14,000-square-foot) interior are areas for worshipping various deities where sculptures of them are displayed on altars under arches. The newly renovated J.P. Wiser's brand centre fronts the largest distillery in North America; they produce 45 million litres of alcohol yearly! Four generations of farmers have been supplying grain to this distillery, which has been operating in the Essex County region since 1858. Distillery tours will be offered every 45 minutes. Visitors must be 19+ and wear closed-toe shoes. This centre offers pediatric services to special-needs children who live in Windsor and Essex County. Most services are funded through the Ministry of Children and Youth. Physiotherapy and occupational and speech therapy were among the early programs. The centre's services have expanded to include autism services, recreational and communication therapy, family services, equipment loan and a resource library. Mackenzie Hall, the former Essex County Courthouse, was built in 1855 by Mackenzie Builders. It is the fourth courthouse built on this site, and contains part of the original 1850s jail. Canada's second prime minister, Alexander Mackenzie, was head of this building firm. This stately stone landmark is now used as a cultural centre for the City of Windsor. The McGregor-Cowan House, built about 1808 in the Georgian style, is believed to be the second-oldest building in Windsor (after Duff-Baby House). The chimneys on either side of the roof ridge represent a French-Canadian heating system unique to the area – each chimney warming a separate side of the house. The building is now privately owned and houses a bakery. New Song Church is a community outreach church in the heart of Ford City. The congregation began in 1994 and, after several moves, settled in its present location. This building has classical proportions with a tall first floor and shorter second storey. Part of Feeding Windsor, the church has a Food Club store and a Pet Food Bank. This theatre was designed by C. Howard Crane, one of North America’s preeminent movie palace architects. Detroit native Crane became one of the major architects for Fox movie theatres (later 20th Century Fox). His theatres were known for their excellent acoustics and plush interiors. Today, in addition to being a performance venue, the theatre is available for weddings and meetings. This genealogical society recently moved to the former residence of The Sisters of the Good Shepherd at Maryvale. This new location provides access to books, baptism records, parish records and other resources to assist in exploring your French roots. Guests will also be able to see the original cells occupied by the Sisters, as well as artifacts and memorabilia. Old Sandwich Town is one of Ontario’s oldest established communities and the setting of many historically significant events. Join us on a leisurely walk and discover several noteworthy buildings. The 45-minute tours will cover the evolution of the town’s streets, unique architectural features, prominent residents and the important role they played in shaping this community. In the 1900s, industries like Ford and Dominion Forge were expanding, attracting workers from central Europe. As these diverse immigrant communities developed, they built their own churches – most of them Orthodox. The first was St. John the Divine. On November 27, 1949, the cornerstone of the current building was blessed. The church is characterized by its distinctive gold, onion-shaped domes. During the War of 1812, retreating Americans burned the original church (c. 1803-06) to the ground. In 1819, a new brick church was built. Additions were made in 1843 and 1852. In 1871, the rear portion of the building was rebuilt in the Gothic style. Gravestones in the adjoining churchyard boast the names of scores of Sandwich pioneers. During Doors Open, visitors will get a glimpse of the past from this rare collection. See the commemoration of the construction of the Vatican in a book dating to 1694, or the original deed for the land gifted by the Huron where Assumption Church likely now sits, or local land registry records – on loan from the Archives of Ontario. In January 2018, this school opened in the historical downtown Armouries building. The Armouries was built originally to serve as the home of the Essex Fusiliers. It was renamed the Tilston Armouries after Acting Major F.A. Tilston, Second World War hero. The University of Windsor repurposed the Armouries through an extensive restoration that preserved the building’s original look and feel. Walkerville Brewery is located in Windsor’s historical distillery district, only blocks from the original brewery where, in 1890, Hiram Walker first made fine lagers and ales. Today, the brewery is again producing craft beer. Stop in for a tour and tasting, and learn how yesterday’s traditions are once again putting Walkerville Brewery on the map. The Windsor Club is the oldest private social club in the area. Formerly located in the Canadian Imperial Bank of Commerce building in downtown Windsor, it now occupies the former Hiram Walker Reception Centre in Walkerville. The interior of the building features exposed brick with floor-to-ceiling windows overlooking the Detroit River. The Windsor International Aquatic and Training Centre is the City of Windsor's brand new state-of-the-art aquatics facility. It features a 71-by-25-metre (78-by-27-yard), 10-lane pool with movable bulkheads that allow for multiple configurations to fit the ideal length for any competition or community use. Go behind the scenes to learn what is above and below decks. Established in 1964, the Windsor Islamic Association (WIA) now serves over 25,000 members in the Muslim community. One of the largest demographic communities in Windsor, Muslims have originated from more than 60 countries. The WIA provides various Islamic social, educational and charitable programs in accordance with Sunni (Orthodox) guidelines. During Doors Open, guided tours and food will be available.